Welcome to the first recipe of our newest partnership! We have partnered with Queen Creek Olive Mill to create a new recipe each month featuring one of their delicious products. 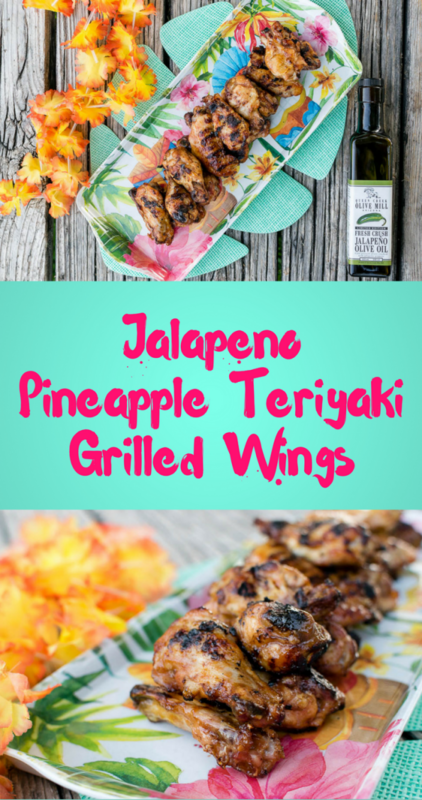 Just in time for Memorial Day, we have created a recipe for Jalapeno Pineapple Teriyaki Grilled Wings. This recipe uses their recently released seasonal Fresh Crush Jalapeno Olive Oil. For those of you who don’t know, we have a long-standing love and relationship with Queen Creek Olive Mill. We interviewed the owner Perry Rea way back when after one of our first foodie adventures. We love QCOM so much that we even got married there. 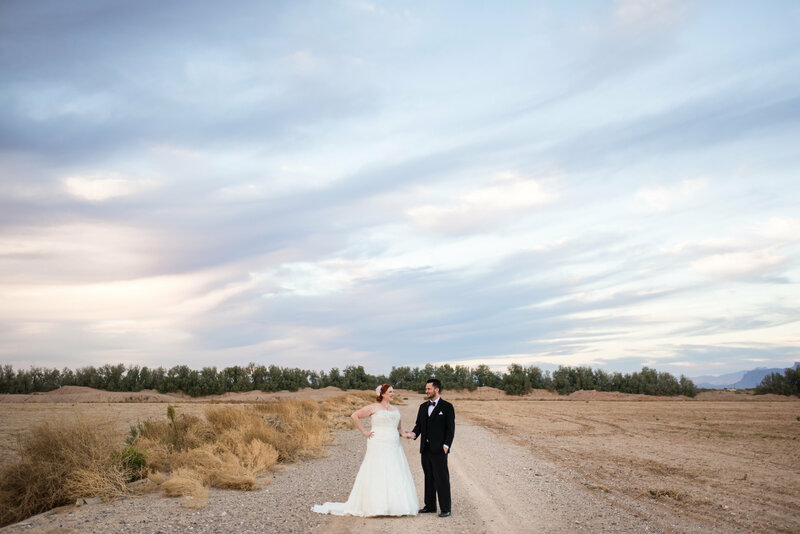 We looked at a few other venues but knew in our hearts that our special day had to be there. When we were asked if we were interested in partnering with them, the answer was a resounding YES! For our first recipe, we chose to tackle something we’d never done on the site, chicken wings. Since it is May and Memorial Day recipes are in high demand, we decided on grilled wings. We weren’t sure how to do this so we consulted Google and used Mark Bittman’s wing grilling method. 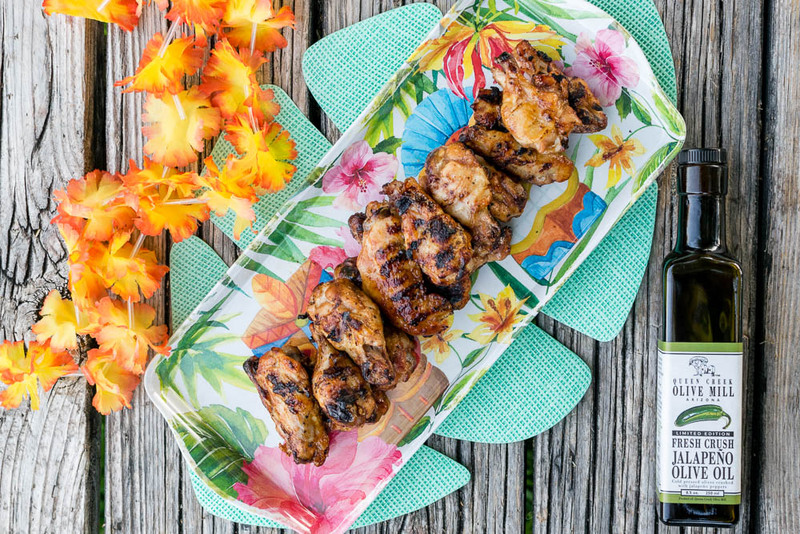 We wanted to develop a more tropical flavor for our sauce so we created a teriyaki sauce and added the Jalapeno Olive Oil to give it a kick. We hope you’ve enjoyed our first Recipe from the Mill! Next month’s recipe will feature Queen Creek Olive Mill’s Pomegranate White Balsamic Vinegar. What type of recipe would you like us to create? Appetizer? Side Dish? Let us know! Leave a comment below or use the hashtag #GeekEats! Cook for 1 to 2 minutes, or until the garlic is lightly browned. Add the soy sauce, jalapeno olive oil, pineapple juice, rice vinegar and brown sugar. Bring up to a gentle boil. Meanwhile, whisk the water and the cornstarch together in a separate bowl. Whisk mixture into the teriyaki sauce and simmer until thickened, 8 to 10 minutes. Light only one side of your grill. Arrange wings on cool side of the grill. Cook with grill lid closed until wings are cooked through, turning periodically. Toss wings in prepared sauce. Arrange over flame and cook with the lid open turning them frequently for about 5-10 minutes. *The Geeks have partnered with Queen Creek Olive Mill for monthly recipes and have received product to help facilitate the creation of this recipe. All opinions are wholly our own. View our Disclosure Policy for more info.